You wouldn’t know it looking at the scores from the past few days, but right in between two embarrassing losses to the Buffalo Sabres the Montreal Canadiens had a bit of good news this weekend, announcing the $22.5 million six-year extension of forward Brendan Gallagher. While the Habs themselves might have deserved a better fate on the scoresheet, specifically in regard to the 4-3 shootout loss in the back half of the home and home at the Bell Centre (when they nearly outshot Buffalo 2:1), it’s hard to argue that Gallagher didn’t get what was coming to him contract-wise. It’s a healthy raise from his 2014-2015 $650,000 base salary, one that’s likely to put a grin on Gallagher’s face (if one isn’t there already). It’s also a very fair deal for a fringe top-six forward who has demonstrated the potential to score over 20 goals a year given the ice time. After scoring on Saturday, he now has six goals and seven assists in 25 games this season. The Habs will also be eating up some of Gallagher’s unrestricted free agency, awarded to players who either have seven years of professional experience or are 27 years of age. 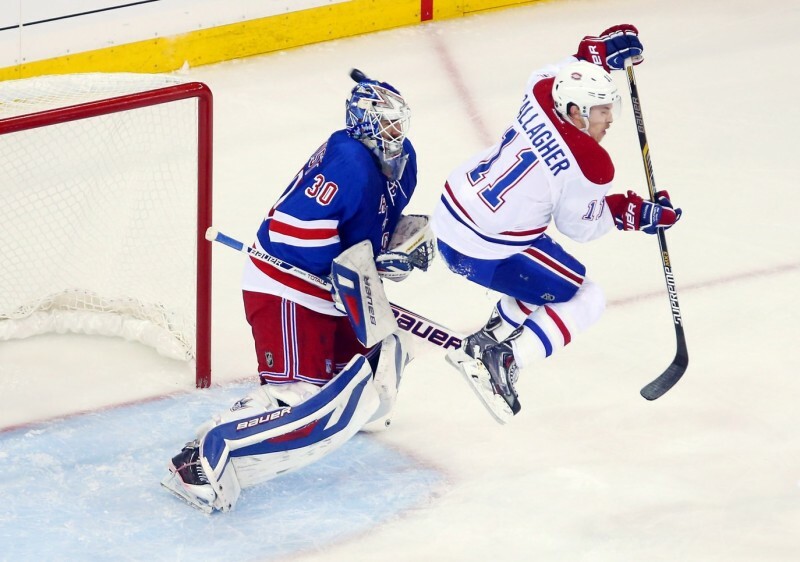 Gallagher will be 29 by the end of his deal, following what is projected to be his ninth year in the league. Sure, the average $3.75 million cap hit is almost $1 million more than the Habs’ best player, P.K. Subban, made during his second deal with the team. But Subban’s deal was two years long, before they signed him to an eight-year deal worth $72 million this past summer. The Habs are locking up Gallagher for six of what are traditionally some of the most prime years of a top-six forward’s career, his mid-to-late 20s. Granted, Subban did win the Norris Memorial Trophy in the first year of his bridge deal… something that will be very hard to repeat based solely on the amount of elite defensemen vying for the title year after year. But something tells me the Habs won’t run into the same problem with Gallagher. For starters, he’s not a defenseman. He’s also not elite. He is, however, incredibly valuable to the Habs and poised to eventually build on his career-high 41 points from last year. At face value, the deal should end up being a bargain—assuming injuries as a result of his rough-and-tumble style of play haven’t taken a toll. By then, a presumably healthy Gallagher will still be young and have a chance to cash in, either with Montreal or another team. It’s a good deal for both sides in other words, one that makes general manager Marc Bergevin look even better following his series of impressive moves so far this season. 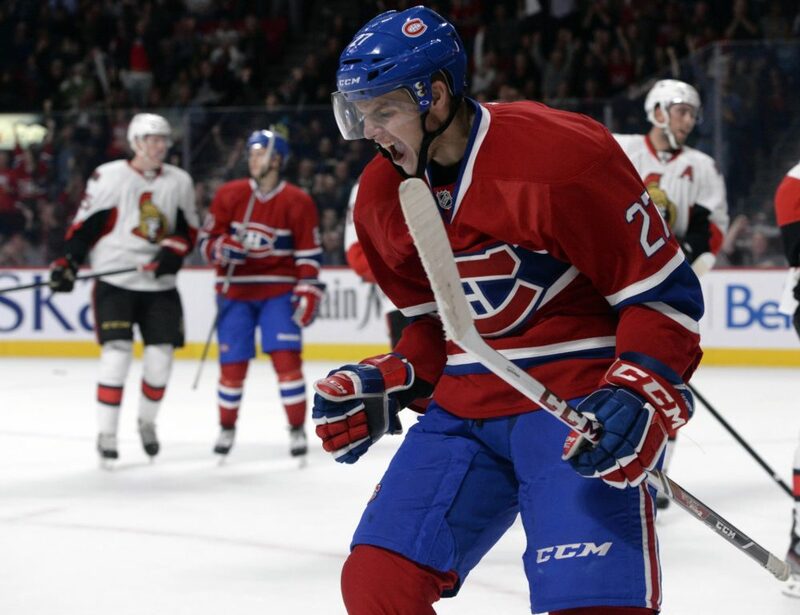 Now he can turn his attention towards 20-year-old pending restricted free agent Alex Galchenyuk, who is in a similar situation relative to Gallagher heading into this weekend. Hopefully the end result is similar as well… not the final scores.